The candidate for baptism was robed for an emersion into the pool of water at an American Baptist Church in Wisconsin. 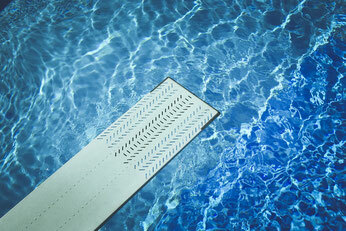 The candidate stood at the edge of the indoor pool and dipped his toe into the water. Unknown to him, the microphone was turned on. He said “D…... but the water is cold.” The congregation must have been in a twitter. This story was told to me years ago. Entering a new year is a fine time to remember our baptismal vows. I believe we want to live them out as we step into a new time. Many of us were baptized as children so we don’t remember vows spoken on our behalf. Others received a believer’s baptism. As children we don’t remember the water temperature. Remembering baptismal vows is a good way to enter the New Year. No matter what the water temperature is in a baptism, we begin afresh as loved by God. 1. Do you renounce the powers of evil? 2. Do you profess to follow Jesus? 3. Do you promise to witness to work/word of Jesus? 4. Do you promise to grow and be faithful living the Christian life? Here’s an original thought. Write out the above baptismal vows and attach them to the door of your refrigerator. This is not a magic or good luck charm but healthy reminders of who we are called to be as followers of Jesus. A blessed New Year! Bible Readings For The Week: Sunday, January 8: John 1:1-7, 19-20, 29-34 ; Monday, January 9: Mark 1:1-13; Tuesday, January 10: Mark 1:14-28; Wednesday, January 11: Mark 1:29-45; Thursday, January 12: Mark 2:1-12; Friday, January 13: Mark 2: 13-22; Saturday, January 14: Mark 2:23-3:6. Pray your own prayers.